Just this week, Bob and I had the pleasure of speaking with Carmine Groe, a Toronto based street photographer. 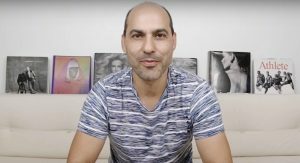 Carmine is not only a talented street shooter with some wicked post processing skills, he’s also become quite adept at YouTubing over the past couple of years. Carmine’s YouTube channel is called Groe Photography and regarding his videos he says the goal is to communicate “all the wonders of photography and my process, as well as sharing my knowledge by providing insights and experiences, tutorials, tips and tricks.” We were honored to talk to Carmine about his channel and are super excited to share this incredible resource with you. Meet Carmine, seen here doing his thing on YouTube. 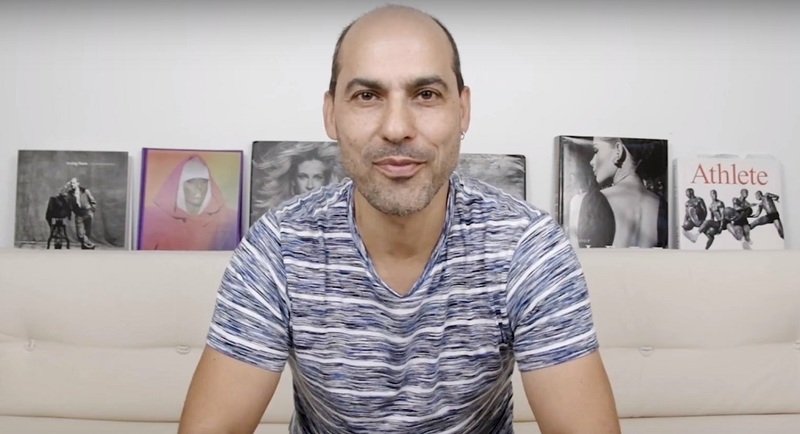 During our conversation, we talked a lot about one of my favorite videos Carmine’s made called “7 Steps to Becoming a GREAT Photographer” and how his steps contribute to building a cohesive body of work that is meaningful and will attract a viewer’s attention. 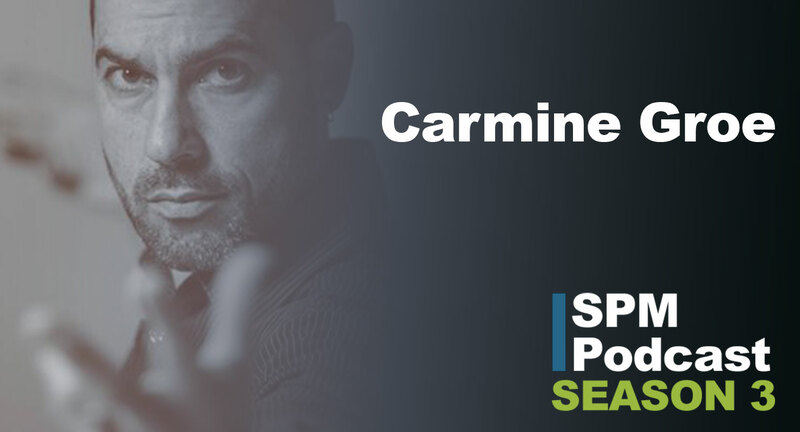 Carmine has some excellent advice and insights into this topic. For example, he suggests taking photos of things that you care about personally, using any camera available and building a body of work that reflects your unique vision. We took some time to pick his brain on how, in practical terms, a street photographer can work towards and accomplish those goals. We also took a few minutes to talk about his post processing tips and tutorials. Here he is in action on the streets of Toronto. 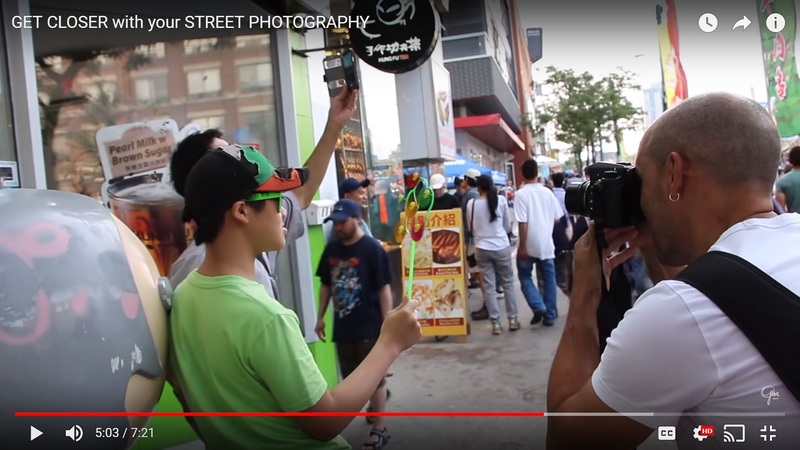 This image is from his video titled, “Get Closer with Your Street Photography” – definitely worth a watch! 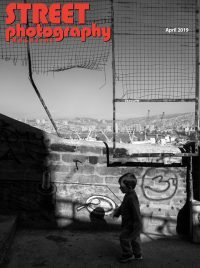 Put simply, this is a podcast that will help you to clarify your objectives as a street photographer and set down some practical steps to work towards them. You’re going to love it. 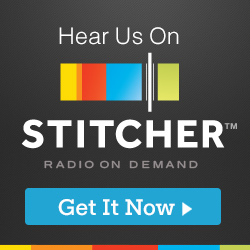 Hit the play button below to listen in and then scroll down to Carmine’s links for even more enlightenment on how to build a cohesive body of work.